“Good morning, Sally. I’ll be right out. I just woke up and I need to shower.” It was 3:44am and my brain was having a hard time registering the voice at the other end of the phone. The caller ID said, “Sally,” but it sure sounded like a man. “We’ll wait for you outside,” replied Cliff Hutchison. Fortunately, I had packed all of my gear the night before, which made waking up five minutes before the estimated departure time a little easier. It’s still not a great idea to wake up minutes before driving three hours into the mountains for a hike, especially Mt. Elbert. 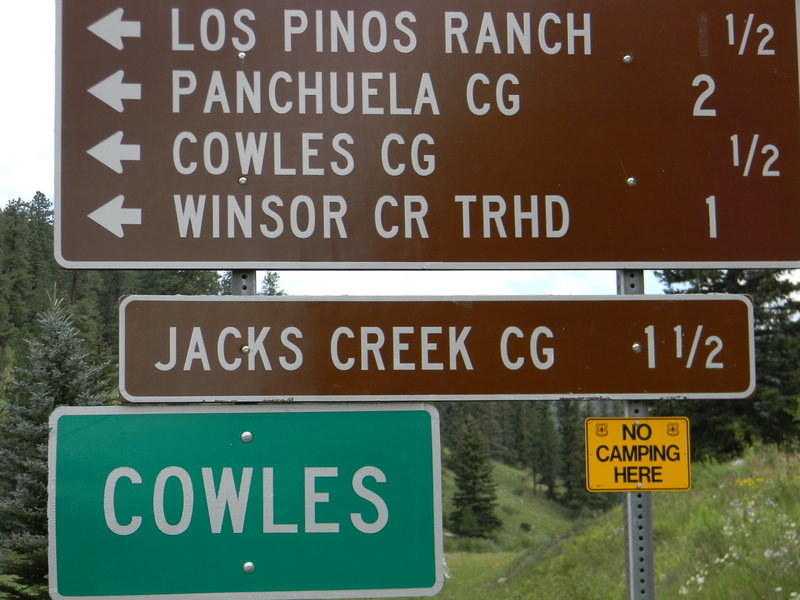 Located in Lake County about 10 miles southwest of Leadville, Colorado in the Sawatch Range, Mt. 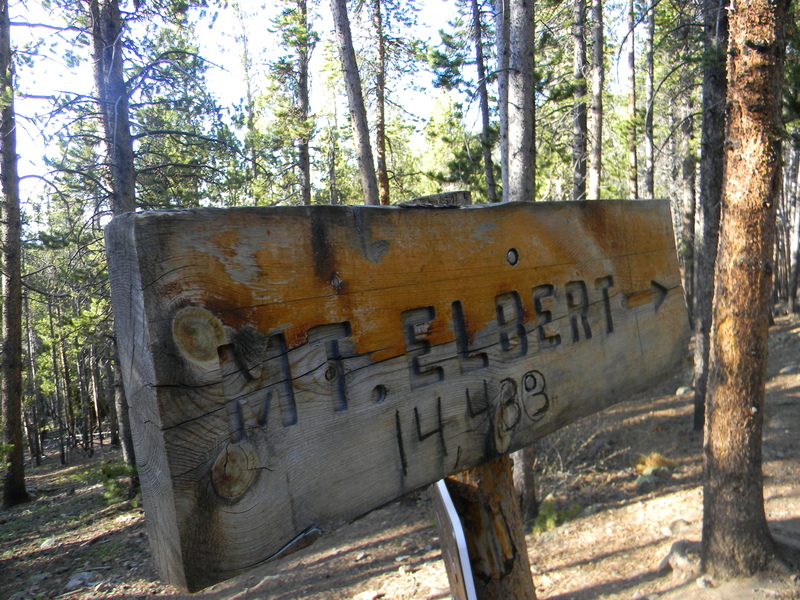 Elbert climbs all the way up to 14,433 feet tall, but I’ve heard unofficially that it is 14,440. 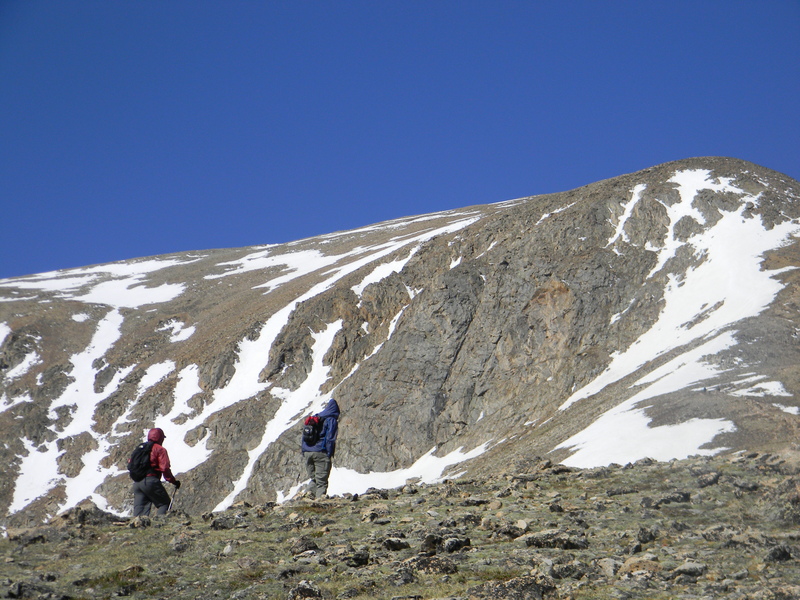 Either way, it’s the tallest mountain in Colorado, and the second tallest in all of the continental United States, making it a formable hiking foe. My alarm’s little stunt didn’t slow us down. We made it all the way from Denver to the Half Moon trailhead in two hours. Showered in golden sunlight, our feet hit the trail at 6:30am. We’d been warned not to start later than 5:30 if we wanted to summit before 12. It’s always a good idea to summit before noon, because after noon the weather can get really crappy. 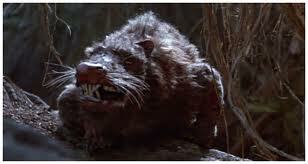 However, being young and strong and athletic and confident and amazing, we didn’t listen to that advice. The Northeast Ridge trail of Mt. 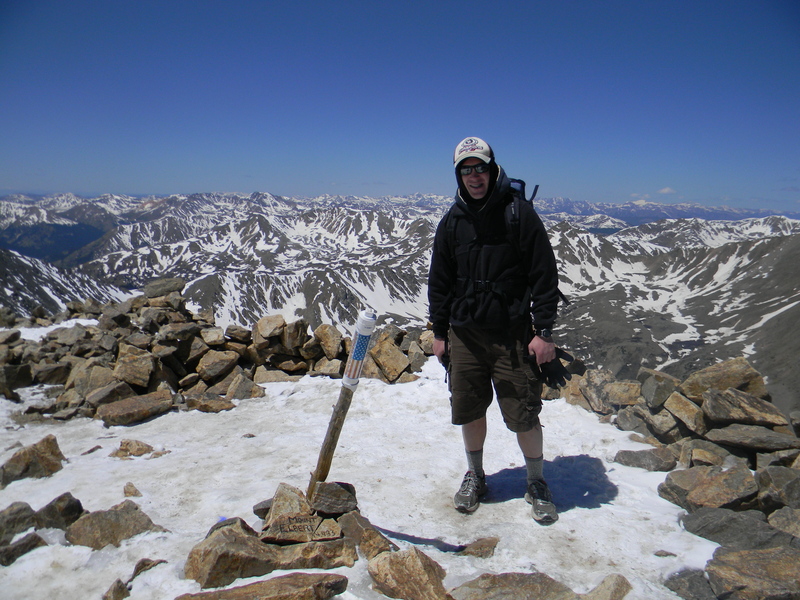 Elbert is listed on 14ers.com as an easy hike. I think what they mean by easy is at no point do you have to scale the cliffs of insanity, swim through eel infested waters, or battle R.O.U.S’s. 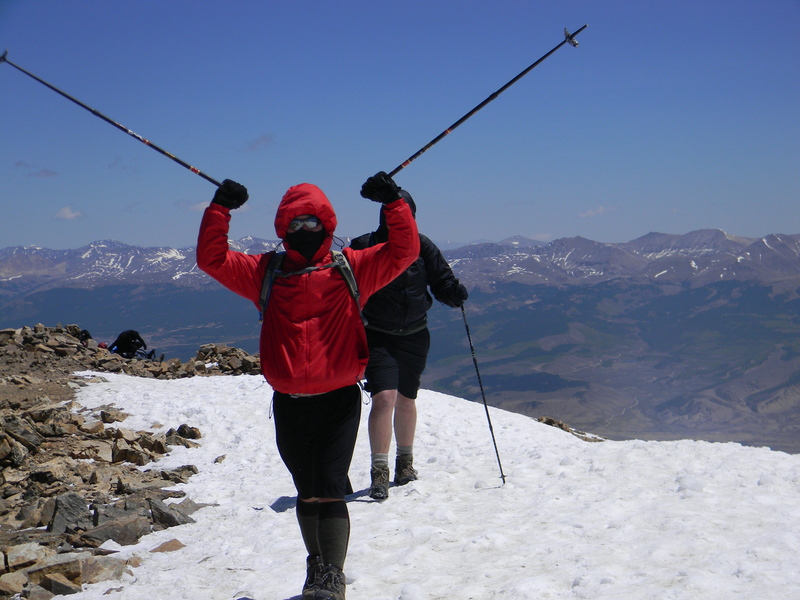 The hike might be easy to the avid hiker, but if you haven’t hiked a 14er before, or if you don’t hike much, I would suggest not starting out with Mt. Elbert. He’s a beast of a mountain. 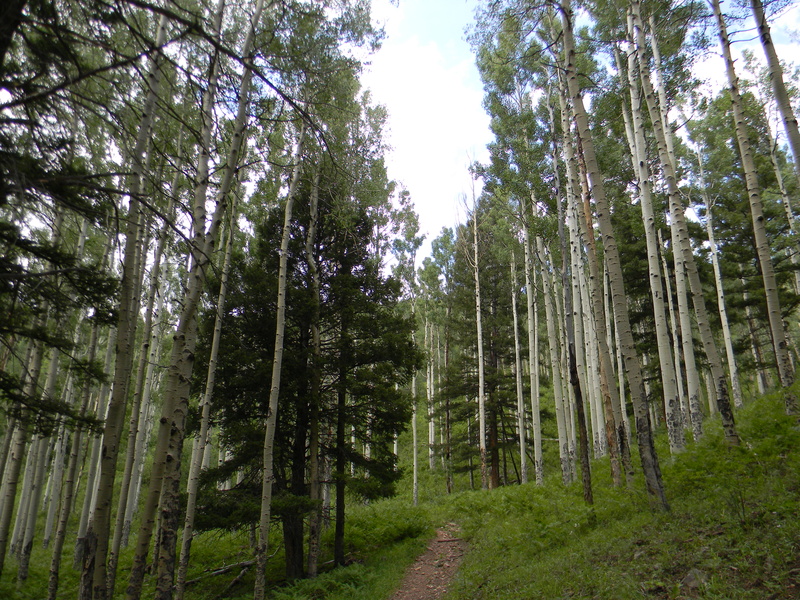 We took the standard rout, which starts you out on the Colorado Trail. Taking this rout will only give you a 4,700 feet of elevation gain. Easy. The only bad part about the day, other than my alarm trying to keep me from breathing the thinnest air in Colorado, was the wind. Zane, the only one on our team who had hiked Mt. Elbert before had said something like, “you can’t even feel the wind up at the top because the air was is so thin.” However, on our way up the trail, through the pine trees that dot their way along the Colorado Trail, the wind bit at our noises. Even though the first part of the trail was steep, we all trekked on together. Hiking is more fun when you have a group to traverse and converse with. We split up a little once we made it past tree-line, which is where the wind got really nasty. AJ, our youngest hiker, and his dad made it a little more than half way, but decided not to summit. I’m guessing because the wind was too much. “That Zane Gordon is full of . . .” The wind blew Andrew’s words away. Andrew is a giant of a man, and as we climbed past the first false summit even his six foot seven inch frame bowed to the power of the wind. With the wind pushing against us, we kept trudging further up and further in. As bad as the wind was, the worst part of the hike were the false summits, which were demoralizing. My body had geared up for the finish, I’d even started to push a little harder because I knew I was almost done. But then I came to the crest of the peak and the mountain had grown, we’d reached the first false summit. Mt. 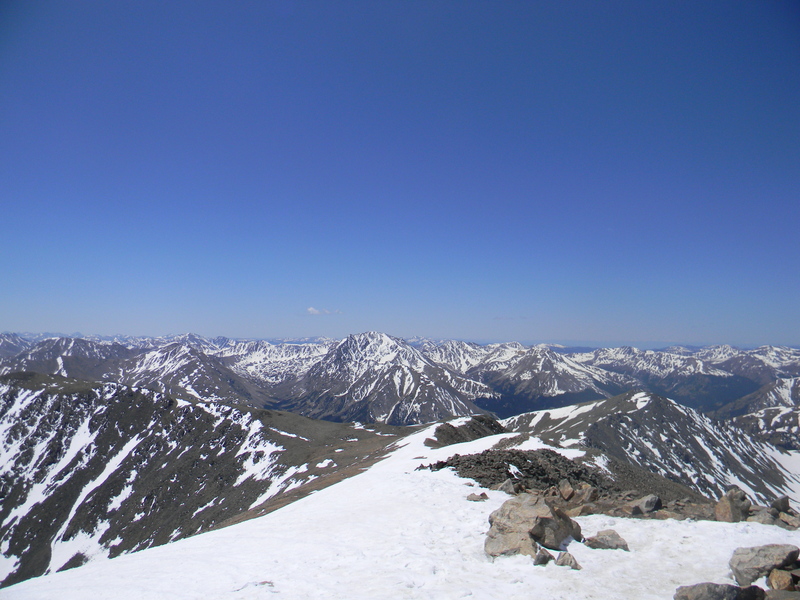 Elbert is the tallest peak in Colorado for a reason. As the rest of our team pushed for the summit I noticed Andrew and Tim slowing down. I’ve climbed a couple big peaks and know that there’s no shame in slowing down, not sprinting up to the top (the word sprint used here to mean walked uphill at a steady gate). Sticking with Andrew and Tim was the best part of hiking. I came on the trip to hike with my friends, rather than coming to take off and reach the summit all by myself. As we slowed down I kept track of time so we have enough time to reach the summit before the wind blew in the bad weather. What I didn’t realize was that the mountain was playing tricks on us. As we crested the second false summit, I could tell my estimated time of arrive was way off. At the speed we were going we had another hour at least. Undeterred, I picked out rocks a good distance ahead of us, setting that as our goal to reach before we took our next break. At each rock I encouraged Tim and Andrew, reminding them that they were doing a great job. Rock by rock we inched closer to the summit. Or the third false summit. I was annoyed. I wanted to reach the top, be able to take pictures as a group, but I also wanted to take a break. My legs were burning almost as much as my lungs. 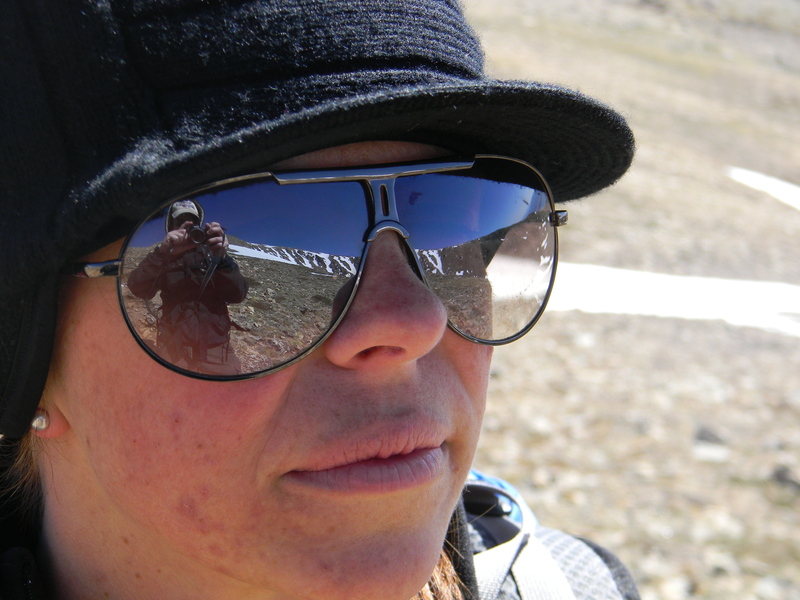 I was also sick of criss-crossing with other hikers. Passing them only to be re-passed. As we stood at the top of the third false summit, looking up at the real peak, I looked at Andrew and Tim and said “lets go!” I wanted this hike done. When I thought I couldn’t climb any higher, I was there. Summiting was a glorious experience. I reached the top of Colorado and quickly found shelter from the wind. Not long after, Tim set foot on the summit, with Andrew just behind. As the two topped off Colorado’s highest peak I jumped up from my spot tucked away from the wind to give them high fives. Both guys shouted with joy, which wasn’t very loud because it takes having air in your lungs to shout. Andrew was nearly in tears. 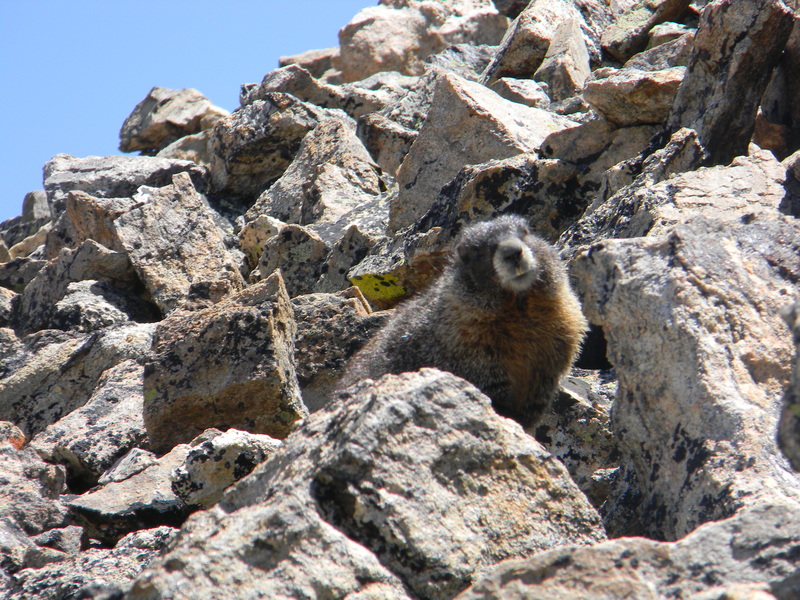 He said this about his experience of summiting, “I felt like I was a zombie. My legs were moving mindlessly as if something were pulling me, compelling me to reach the summit.” I guess zombiemode is more than when someone becomes a brain eater. I really enjoyed my own summit, but I felt true joy watching Andrew and Tim make it to the top of Mt. Elbert. I was filled with joy because Andrew had worked so hard to climb to the top. Hiking with friends should feel like that. On our way down we talked about how hard the climb was. 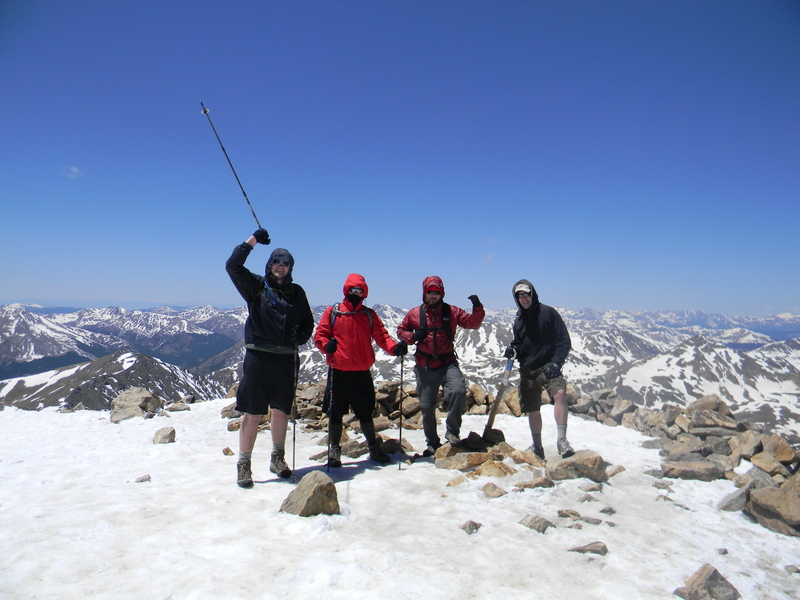 None of us liked the false summits or the wind, but we agreed that those hardships just made the actual summit that much sweeter. The whole hike was sweet, because it was hard and we achieved a difficult goal with friends. I hiked Mt. 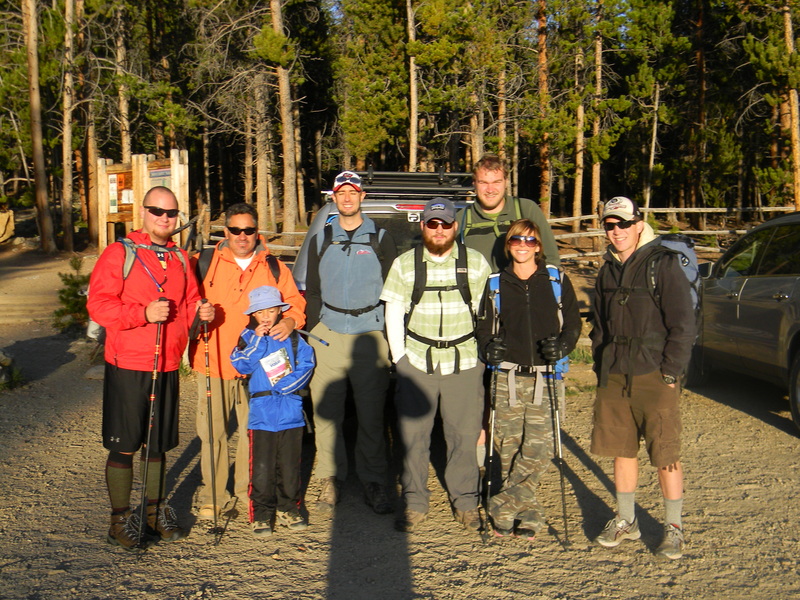 Elbert on Memorial day with several members of The Neighborhood Church. 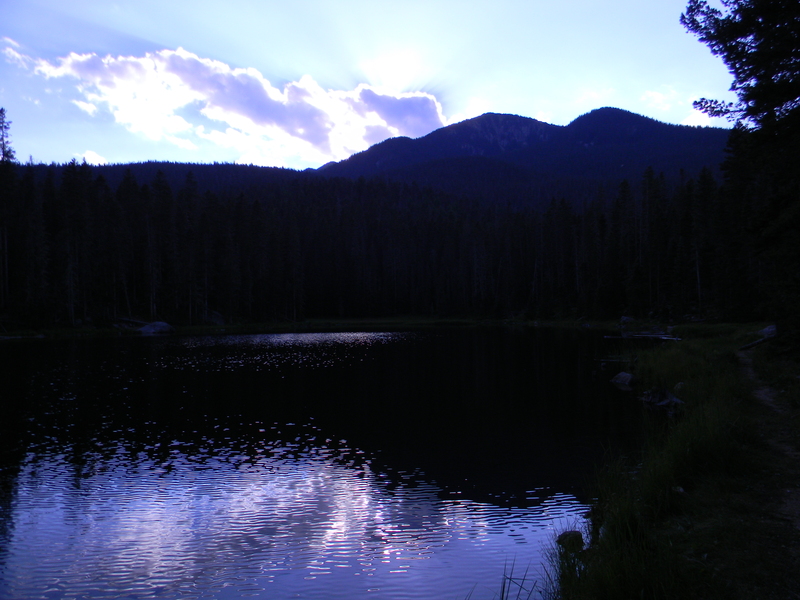 This hike is just one of the many great things going on at TNC. This blog was first posted on my blog, I hope you all enjoyed!